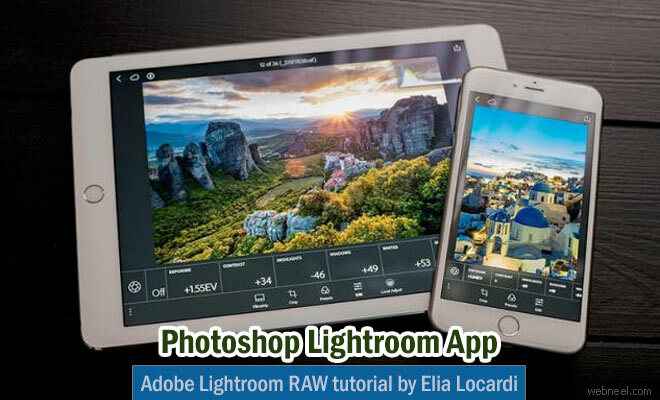 Elia Locardi is a professional travel photographer and he is going to show us in a short tutorial, how to convert the RAW photos using the Adobe Lightroom Mobile App. The RAW editing option in mobiles was made available on mobile phones in June 2016. Previously only DNG files could be converted, now any RAW files can be edited using the Adobe Photoshop Lightroom Mobile application. So no need to carry your laptops for editing purpose when you are on the go. In this video, Elia Locardi takes us to Stockholm subway system, where one of his popular photos, 'Belly of the beast' was taken in 2011. He reshoots the scene using a Fujifilm X-T2 camera and an iPad Pro. “This tutorial also takes things further by showing some of the Adobe Photoshop editing techniques I used to create one of my most famous photos", ” Locardi says.